Hosting a dinner party can be scary. There’s so much that goes into it. Don’t be scared. This list of simple tips will ensure that you not only know how to throw a great party – but have mastered the wine part of it as well. Don’t Be Scared To Tell Guests What To Bring! When someone asks you, “What should I bring?” It’s easy to just haphazardly reply, “Oh bring a dessert, or something to snack on before dinner.” Get specific. If you know you’re having a glass of champagne before the dinner kicks off don’t be scared to suggest a cheese platter. Let your guest know why he or she is bringing that specific dish. The rest of your party will appreciate the cohesiveness amongst the dinner party. A cohesiveness that is easy to achieve via communication. Let’s talk about serving temperatures. Of course the preference is different for everyone – so I am speaking from suggested serving temperatures. The rule of thumb for serving wine at the correct temperature is ‘Think like Goldilocks.’ If the wine is too warm – it will embolden the alcohol taste – a bit too cold and it might make the aromatics almost unnoticeable. You have to find the ‘sweet spot’ for each wine. You want to aim for between 40° to 50° F. Feel free to keep these in your fridge until serving time and keep them on ice or in a chiller between pours. It will keep the bubbles crisp and help balance whatever you serve it with. The goal for these is between 50° to 60° F. Chill and then open about 30 minutes prior to serving. The slight warmer temperature will ensure that you pick up on all the aromatics that come from a strong sauvignon blanc. You want to aim for a touch under room temperature. Ideally 60° to 65° F. The tannins will thrive in this temperature. Put it in your refrigerator 20 minutes prior to serving. The nice thing about buying wine for a dinner party is that it’s not as perishable as some other ingredients for a dinner party. If you don’t get to cracking a bottle it’s easy to save for another occasion – or possibly send some of your guests home with a goodie bag! Having extra is always better than running out. 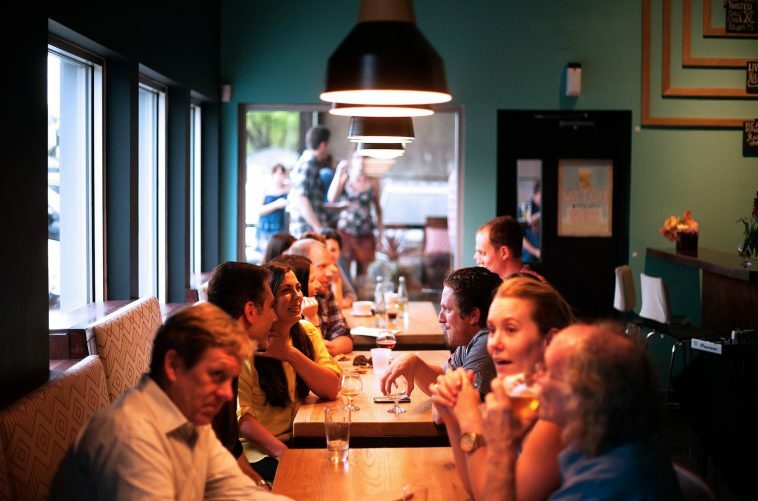 Don’t just plan for the pairing wine – many times a wine will strike a chord with a guest or two and they will want an extra taste of that wine before the next course. Dinner is winding down. Your guests are starting to unbuckle another loop in their belt. Your guests ask themselves – “There couldn’t possibly be anything else on the menu, right?” as they take their last sips from their now warm glasses of wine that have sat through three courses – not wanting to leave a drop unused. That’s when you bring out your Piece De Resistance. Something that sticks to your guests’ minds when they leave. Something bold perhaps? A nice dessert wine. I suggest a 2007 Fontodi Vin Santo. 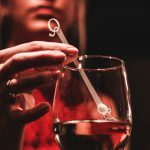 It’s unique process ensures that all the natural sugars from the grapes stay true to the wine and will leave your guests wondering when your next dinner party is. The wine at the dinner party is only a fraction of the fun. So make sure you share it with good food and even better company. Don’t forget to have StiQit ready for your guests if they want to use it! Just one stir and their wine will be sulfite free. Let us know your favorite dinner party tips in the comments! As a thank you for reading our wine journal we wanted to give our fans an exclusive opportunity for 2 free StiQits! Just follow this link to claim them! Previous article What Are Sulfites and Why Do They Cause So Many Side Effects? 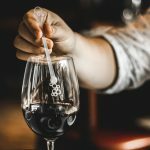 What Are Sulfites and Why Do They Cause So Many Side Effects?